This week on Drowned in Sound in the form of a Spotify playlist. As bloody usual! This one features some legends of the game in Kate Bush, Let's Wrestle, Thurston Moore and Four Tet. Click yer mouse/trackpad here to give it a virtual spin. 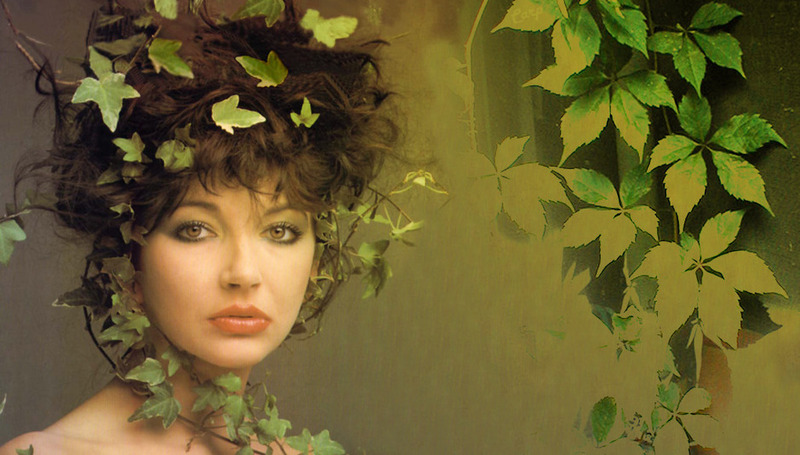 Kate Bush had a new record out this week, although it's hardly NEW in the truest sense of the word as it's called Director's Cut and features older and re-recorded tracks. Still, found out what our Album's Editor Andrzej Lukowski had to say about it here. Friendly Fires are from St. Albans. Not sure if this get mentioned a lot or not, but we're mentioning this little factlet anyway. Their new record, Pala, came out on the same day as that new Kate Bush record but is actually probably a little bit better. Controversial? Not really, no. Let's be honest about this, Planningtorock scares the living daylights out of us, for a variety of reasons too numerous and detailed to go into right now. Does she scare you? All those Rocky Eriksson-esque pictures. I mean...I just don't know. The new record, W, was a bit perplexing, too. Read our review here. If there's one thing Let's Wrestle do well then it's singing about slacking and generally being lazy, if not slovenly. It's something many of us can relate to. Their new one is called Nursing Home and was reviewed here. I am not really sure what more can be said about Tyler, The Creator, but there's plenty to be said about what he creates, which we did about his record, Goblin. Last week (was it really?!) we reviewed Gang Gang Dance's latest long-player Eye Contact and this week we reviewed one of their live shows, from London it were reeeeet good. This particular track is taken from the Official Sound Track to the film Bully). No, I've never seen it either. Looks alright, though, doesn't it? Anyway, Mr Moore releases Demolished Thoughts on Monday and we reviewed it a few days in advance. Click here to see what Mark Ward thinks of it. Yes, it's only 7 seconds long. No, we don't know what the point of putting it in here it is either. Four Tet's contribution to this playlist, however, is a lot meatier. A million times meatier, you could argue, for 'Love Cry' is a fantastic thing. Mr Hebden - along with several others - was announced as a new act for ATP's Nightmare Before Christmas this week. I've always thought that the lead man from New Zealand noise-makers Die! Die! Die! looks slightly like Rob Key, former England and Kent batsman. But that may indeed just be me. One of our number had the privilege to see the Kiwis in action recently and he quite liked what he saw. Yep, this was Single of the Week with Wendy Roby saying this about it: "What I like about what Ghostpoet is doing here - even if you acknowledge that he is not the only one doing it - is that it is a deliberate sort of soporific hip hop that does not aim too high. This does not mean it is lacking ambition, but it is not a song sung down from a platinum turret and it does not bellow about how it owns a Bentley when you do not; I do not think it even wants one. ‘Survive It’ is just about getting through the day without gnawing off an arm, it is a rejection of all the patent nonsense that is thrown at us in the free world." She likes. Click here to listen to this week's Spotifriday playlist and, as ever, here to browse through our playlist archives, stretching back a LONG, LONG, LONG time.